Rating the 20 best hitters and pitchers in baseball by surplus value and cost per win yields an interesting mix of superstars and players you may not have heard of before. Jose Altuve or Mike Trout? Paul Goldschmidt or Giancarlo Stanton? The debates over who deserves each league's Most Valuable Player award will rage into November, perhaps even past the point when the BBWAA votes are tallied and the winners announced. To many MVP voters, "value" remains a very subjective matter. Quantitative measures have found their way into awards discussions, and one can add another dimension—more for illustrative purposes than for filling out a ballot—by factoring in salary as well. Altuve (7.3 WAR via Baseball-Reference) and Trout (6.0 WAR despite missing six weeks due to a torn ligament in his left thumb) are both having outstanding seasons, but the former is making just $4.5 million, the latter $19.25 million. That's a big difference in bang for the buck. When combining salary and Wins Above Replacement, we can illustrate value in multiple ways. One is to factor in the cost of a win on the free agent market, as we do in our What's He Really Worth series. Different sites use different estimates when it comes to that figure—last winter, we used $6.85 million per win—but that figure is subject to inflation, so for the purposes of this piece, I'm using $7.5 million per win. By that estimate, Altuve has delivered $54.75 million in value in 2017, Trout $45 million. Subtract each player's actual salary (in this case, I'm prorating because the season isn't complete) and you get what FanGraphs calls "Surplus Value," which is what each player is providing above and beyond his salary. For Altuve that figure is roughly $50.9 million, tops in all of baseball, and it's around $27.7 million for Trout, still good for 26th among position players. The 5'6" Altuve is head and shoulders above the field, but coincidentally enough, it's 6'7" Aaron Judge, the game's tallest position player, who's second. While making just a bit more than the minimum salary, the Yankees slugger is fourth in the league in WAR despite his dismal second-half slump. Goldschmidt, third in NL WAR by a couple whiskers (0.3 behind Giancarlo Stanton and 0.2 behind Joey Votto), stands out relative to the pair here because he's making so much less money. Stanton and Rockies third baseman Nolan Arenado are the only players among the top 19 who are making more than $9 million, and seven are making somewhere between the minimum and $595,000. Note that Tommy Pham, who spent 33 days in the minors before being recalled by the Cardinals, and Chris Taylor, who spent 17 before being recalled by the Dodgers, get an upward push here because their values are based on prorated shares of the league minimum. That's why there's an asterisk next to their minimum salaries. Home Run Leaders: Who Has Hit The Most In Baseball History? Here it's important to note that these rankings should be considered a snapshot in time, as they're somewhat volatile given how closely clustered the players are. Dial back a day, when Judge had 5.7 WAR and Andrelton Simmons was at 6.5, and the pair were just $400,000 apart in Surplus Value, instead of almost $2 million. Similarly, Charlie Blackmon, who gained 0.3 WAR overnight by going 2-for-4 with a double and a homer, jumped from 15th to eighth. Surplus Value isn't the only way to look at this. The idea of combining player salaries and an all-encompassing value metric (such as WAR) originated with the late Doug Pappas of Baseball Prospectus, who in early 2002 computed "marginal salary per marginal win" to illustrate the efficiency of the 102-win Oakland A's the season before, a eureka moment that Michael Lewis cited in his preface to the seminal book Moneyball. 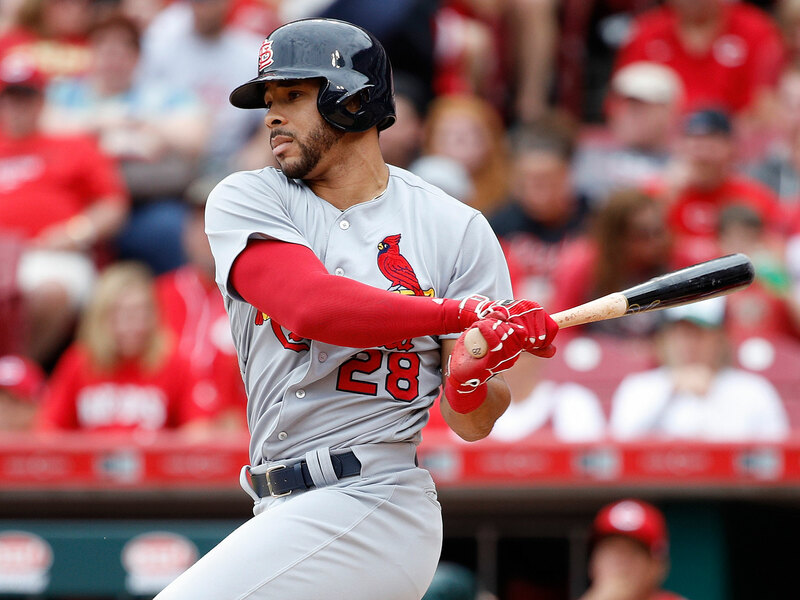 By that measure, the 29-year-old Pham, who didn't make his 2017 season debut with the Cardinals until May 5, has given the Cardinals more than a 99% discount per win. He's one of five players who crack this leaderboard after spending time in the minors in 2017, with Chapman, who didn't debut until June 15, the greenest of the bunch. Most of those guys might be considered surprise contributors to their teams, at least this year, while Seager, Byron Buxton and Carlos Correa represent the upper reaches of recent prospect lists, the guys who would be expected to wind up here. Speaking of Seager, again the Dodgers have three players in the top 10, which helps to offset the $21 million they're paying the long since-released Carl Crawford. Both Corey Kluber (five years, $38.5 million from 2015 to '19 plus two club options) and Chris Sale (five years, $32.5 million from 2013 to 17 plus two club options) are on particularly team-friendly deals, but Washington teammates Max Scherzer and Stephen Strasberg make the list, too, after signing nine-figure deals. Their salary figures are based upon the way that the league and the union have allocated their signing bonuses and discounted the deferred money ($50 million of the former and $105 million of the latter for Scherzer, $10 million and $70 million for Strasburg). Even then, the far less heralded Gio Gonzalez, who's having a career year that should at least put him in the Cy Young discussion, has produced a greater surplus, second only to Kluber. But it's worth pointing out that Gonzalez is a pitcher whose value differs greatly depending upon which version of WAR is used. His B-Ref WAR, which is based on actual run prevention (2.65 runs per nine, and a 2.50 ERA) with an adjustment for defense, is more than double his FanGraphs WAR (3.0), which is based upon his comparatively modest 3.88 FIP and casts aside his .252 BABIP. A set of tables based upon fWAR might look rather different from the ones here. In terms of pay range, the pitchers’ surplus value table is an eclectic mix. Scherzer is the only pitcher among the top 20 with a salary above $20 million, while four others are above $10 million. Half the list, 10 pitchers, is making just the minimum salary or some slight step above that, and Godley's been even more valuable when one considers the 46 days he's spent in the minors. Indeed, the Diamondbacks' thrift has earned them three spots here, and Taijuan Walker ranks 22nd ($20.6 million), just outside the frame of this snapshot. The Brewers have two pitchers here plus Zack Davies ($19.0 million) at number 26. The top 20 on this list is all pitchers making $570,400 or less; eight of them have spent time in the minors this year (not including rehab assignments). Castillo didn’t make his big league debut until June 23, and has just 15 starts under his belt, while Blackburn didn't debut until July 1 and made just 10 starts before a comebacker gave him a deep bone bruise on his right wrist, effectively ending his season. Note also that Blackburn, who whiffed just 22 batters in 58 2/3 innings, is like Gonzalez, a pitcher whose value varies from system to system; he has just 0.6 WAR according to FanGraphs. The surprise contenders around baseball this year—the Diamondbacks, Rockies, Brewers and Yankees—each have three pitchers here including one reliever; Bradley, Knebel and Green are particularly prominent success stories for their given teams. 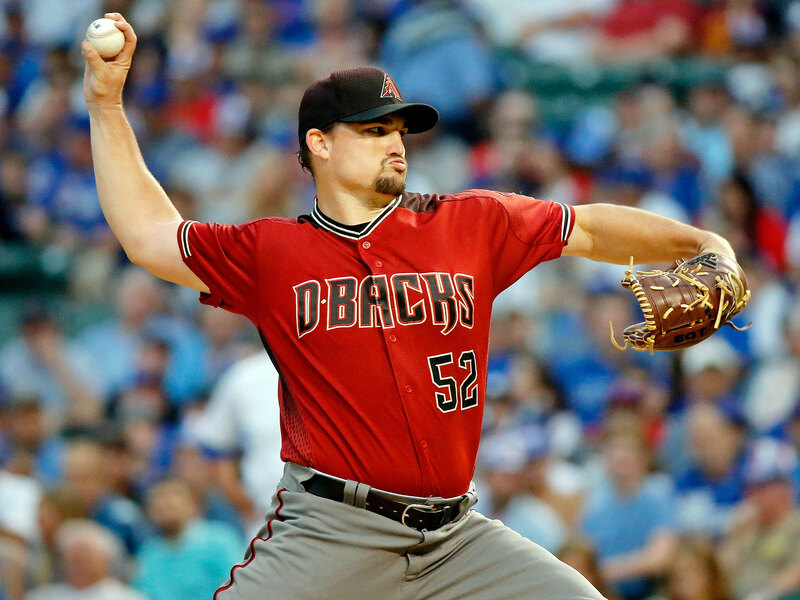 The trio of Arizona hurlers helps offset Zack Greinke’s $34 million salary, which has still yielded more than $14 million in surplus value, and a rate of about $5 million per win. Likewise for those Yankees and the far less efficient contracts of CC Sabathia and Masahiro Tanaka, both of whom are in the red, surplus-wise, and cost above $10 million per win. All of this is just one more way of illustrating that it’s those bargain players, generally young and homegrown, who provide the great returns per dollar that help offset the expensive ones and are generally essential to winning teams.